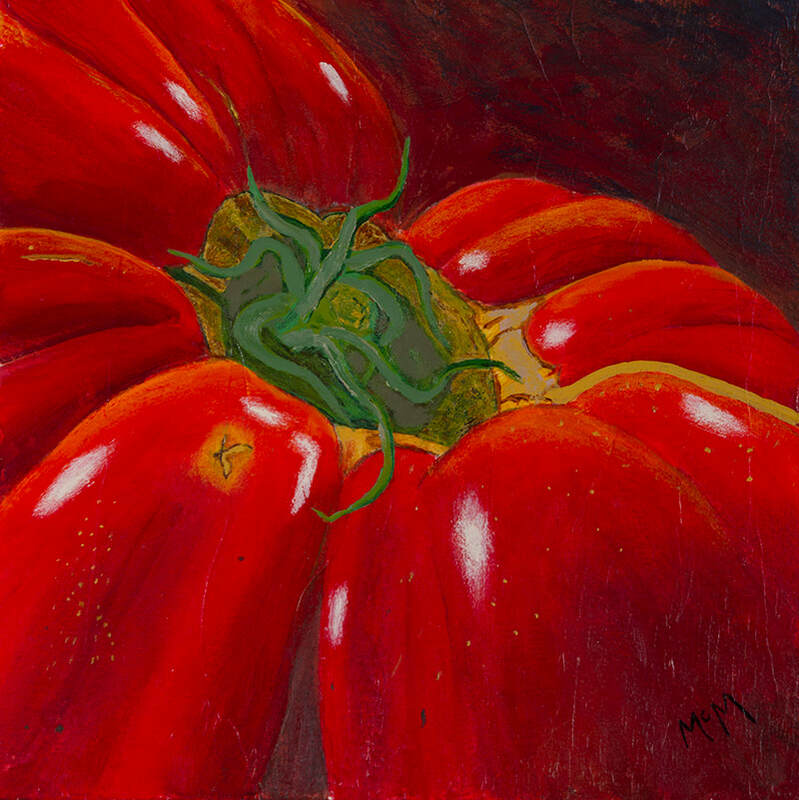 Still-Life of tomato. 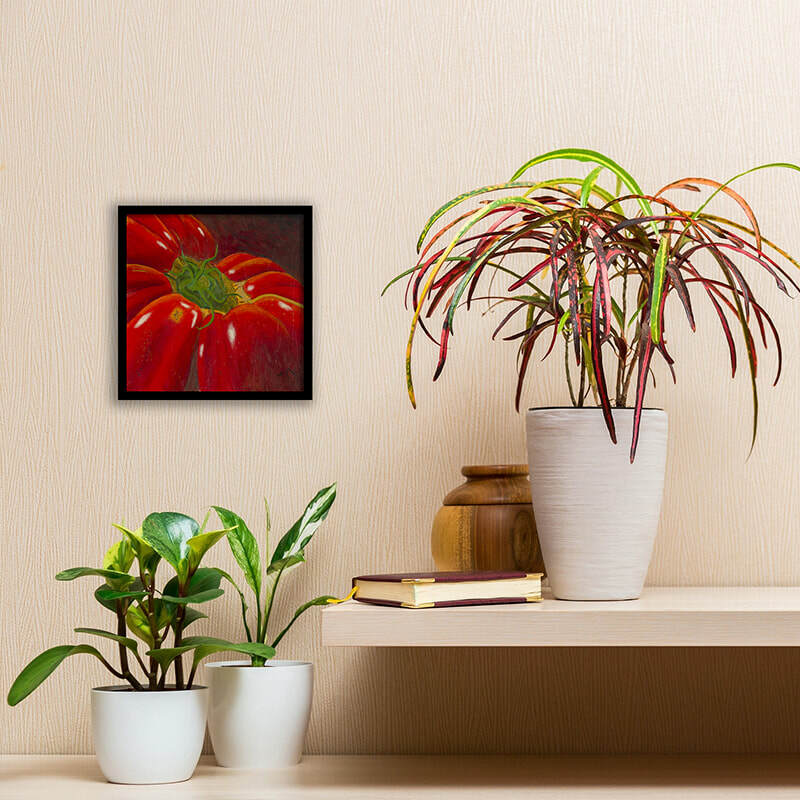 One of my Kitchen Art series that are ideal to brighten up a little nook in you kitchen. Signed on front with a birth certificate. Sold unframed. But small black frame shown is available.